P.Ganesh, D EvangelinGeetha, TV Suresh Kumar, "Prediction of Cloud Application’s Performance using SMTQA Tool" SSRG International Journal of Computer Science and Engineering 3.11 (2016): 24-30. P.Ganesh, D EvangelinGeetha, TV Suresh Kumar,(2016). Prediction of Cloud Application’s Performance using SMTQA Tool. SSRG International Journal of Computer Science and Engineering 3(11), 24-30. Performance of cloud applications is critical for its user acceptance. Resource management and scalability play important role in cloud performance. As a result, cloud environments fundamentally aim for resource consolidation and management. Also, it is challenging for the cloud service providers to allocate the cloud resources dynamically and efficiently. Through proper management of cloud resources, the scalability issue can be mitigated significantly. Given the significance of resource management in assessing the cloud application performance, we focus on evaluatingthe cloud performance considering resource utilization aspects of a cloud application. In this paper, we attempt to identifythe key actors in cloud environment with respect to resource management and design UML model for it. Also, we predict the performance of sample cloud application through SMTQA simulation. 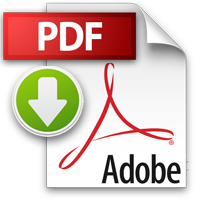 Hitoshi Matsumoto, Yutaka Ezaki,” Dynamic Resource Management in Cloud Environment”, July 2011, FUJITSU science & Tech journal, Volume 47, No: 3, page no: 270-276. 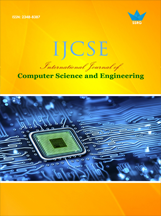 P.Ganesh, D EvangelinGeetha, T V Suresh Kumar, “Impact of resource management and scalability on performance of cloud applications – A survey”, International Journal of Computer Science, Engineering and Applications (IJCSEA) Vol.6, No.4, August 2016. Connie U . Smith, Performance Engineering of Software Systems, Reading, Addison-Wesley, 1990. D. EvangelinGeetha, T. V. Suresh Kumar, P. Mayank, K. Rajanikanth, 2010, “A tool for simulating multitier queuing applications”, Technical Report, Department of MCA, MSRIT, TRMCA 04. P.Ganesh, D EvangelinGeetha, T V Suresh Kumar, “Software Performance Engineering for Cloud Applications – A Survey”, International Journal on Recent and Innovation Trends in Computing and Communication(IJRITCC), ISSN: 2321-8169 Vol.4, No.2, February 2016. J. Schad, J. Dittrich, and J.A. Quiane-Ruiz, “Runtime Measurements in the Cloud: Observing, Analyzing, and Reducing Variance,” Proceedings of the VLDB Endowment, vol. 3, 2010, pp. 460-471. Jin Shao and Qianxiang Wang, “A Performance Guarantee Approach for Cloud Applications Based on Monitoring”, Proceedings of the 35th IEEE Annual Computer Software and Applications Conference Workshops, 2011. Dan Marinescu, “Cloud Computing: Theory and Practice”, Elsevier Science & Technology. Service Level Agreement, Service Level Objectives, Unified Modelling Language, Software Performance Engineering.